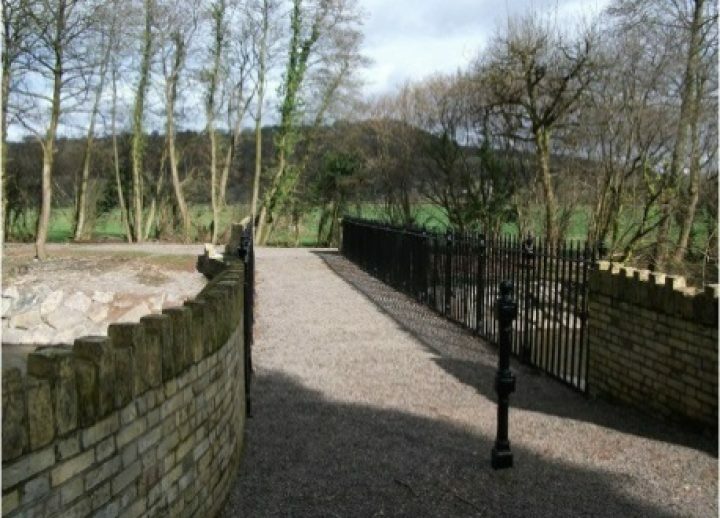 The Iron Bridge, located in Lower Machen, is a cast iron Grade II listed structure constructed in 1829 as part of a carriage drive from Ruperra Castle to Machen Church. 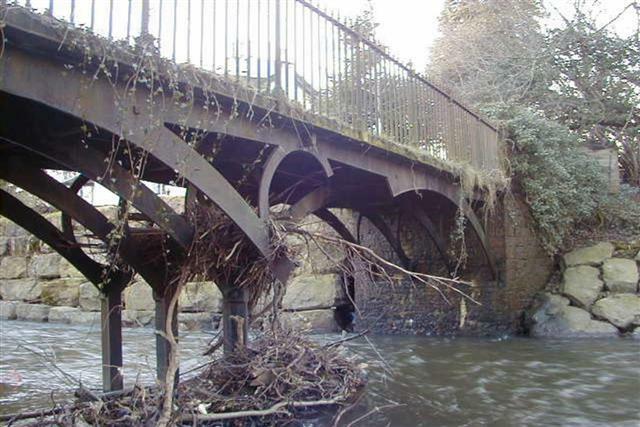 The bridge was closed to the public in 2008 due to extensive damage to the stone abutments and cast iron beams. 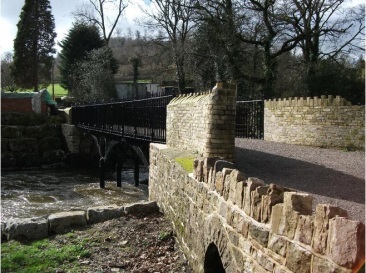 In order to reopen the bridge a programme of restoration work was undertaken with grant funding from Cadw, Heritage Lottery Fund and Countryside Council for Wales. Restoration work included the repair and reinstatement of the ironwork and required the bridge to be completely disassembled and restored offsite. A number of structural components were missing or well beyond the point of repair and required a specialist Architectural Metalwork sub-contractor to cast new, matching parts. The arched beams were grit-blasted, restored and repainted along with the vertical post and missing ties. 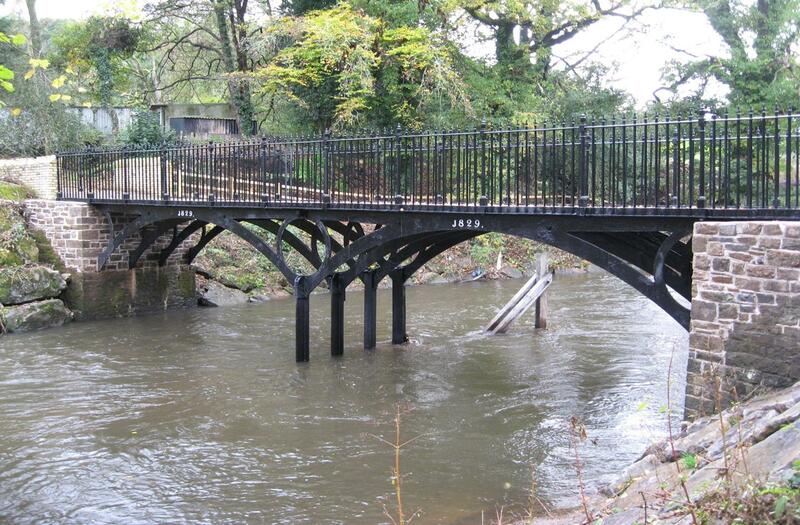 A corrosion protection coating was applied to both new and existing ironwork prior to reassembly. 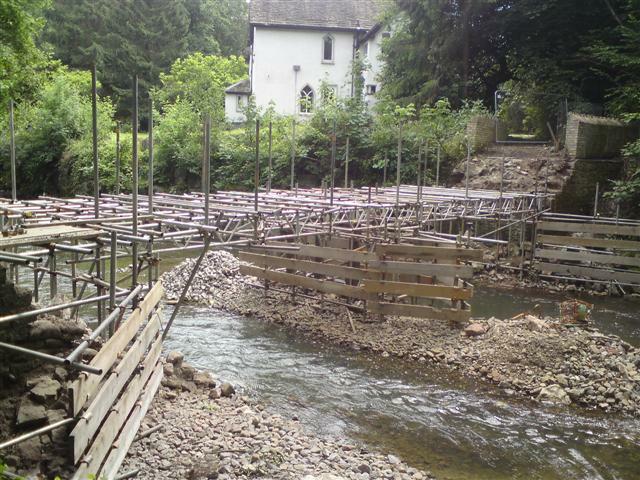 Before the bridge was craned back into place the stone abutments were restored and the three columns were sand-blasted and painted insitu. 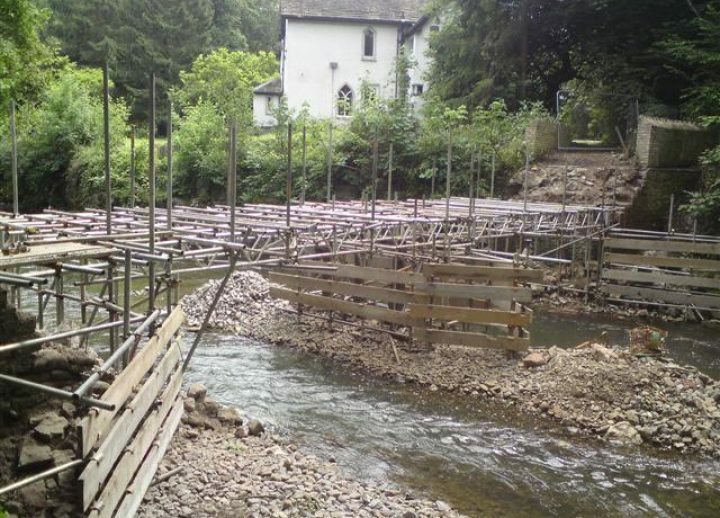 The restored bridge was then bolted back into place under the supervision of Cadw. Throughout the project extensive liaison was held with local residents and landowners and works were carried out under restrictions and conditions of consent from the Environment Agency. Following the successful preservation works on the bridge education packs have been produced for local schools in conjunction with Key Stage 1-4 curriculum based studies and education links with higher education are being explored. 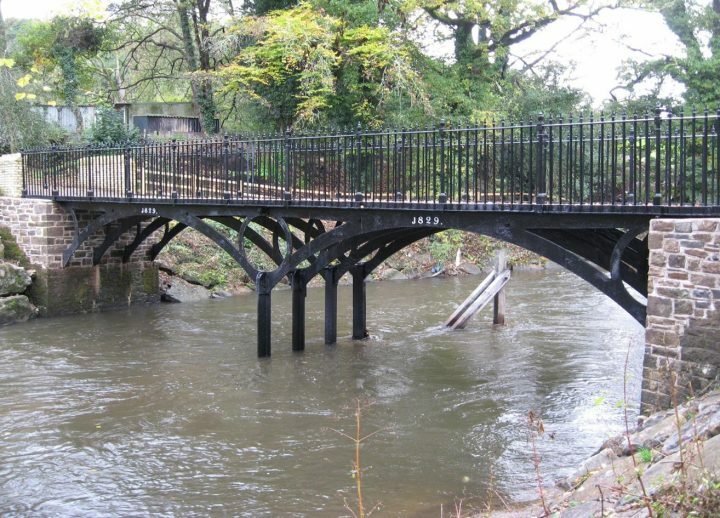 The Historic Bridge & Infrastructure Awards 2011 – in recognition of the exception skill and care which were applied to its design and construction. The ICE Wales Cymru Roy Edwards Special Award for Conservation.